Sebamed Skincare is based on the discovery that the skin’s slightly acidic surface protects against injurious environment influences, dehydration, germs, bacteria etc. with its so-called protective acid mantle kick-started an intensive and long lasting research period. What started with the sebamed Cleansing Bar has in the meanwhile developed into a large product portfolio that gathers more than 50 different items – and the range is constantly being extended. Besides the sebamed cleansing products, a special skin care series offers additional protection. Whether for the daily personal care of sensitive skin, the delicate skin of babies or the high demands of stressed skin – all products are based on the concept of stabilizing the natural protective acid mantle of the skin using the pH value of 5.5. Sebamed’s product philosophy has been confirmed and documented in over 150 scientific studies: cleansing and care products, which aim to maintain the pH value of 5.5 ensure that the skin remains healthy. 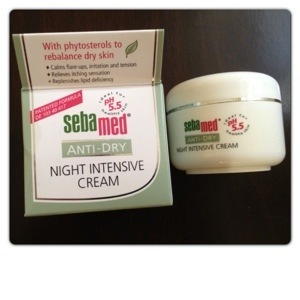 We have been testing Sebamed Anti-Dry Range for the past couple of weeks and it arrived at the right time. Our skin usually gets really dry during the winter, so it’s the perfect time to try anti-dry products. Revitalising Shampoo (RRP £5.99) has active organic protein complex that relieves scalp irritation. Revitalising Shampoo has been specially formulated with an extra mild wash active compound to gently cleanse the hair without irritating the scalp. Besides, it is 100% soap and alkali free. I colour my hair, so I was pleased to find out that revitalising shampoo regenerates dry hair and promote healthy shine within 3 weeks. I have been using it for a couple of weeks and my hair feels really soft already. 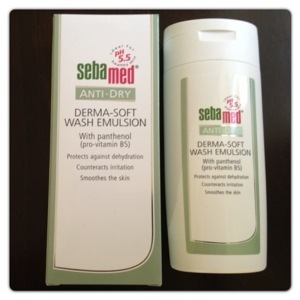 Derma-Soft Wash Emulsion (RRP £6.99) is suitable for face and body of children and adults. It is based on natural skin-related amino acids, glucose and lipids to give dry skin reliable protection against irritation and dryness. Derma-Soft Wash Emulsion is formulated to safeguard and conserve the skin’s moisture balance, making the skin soft. It smells nice, it has a mild fragrance. It cleans well without drying the skin. Hydrating Body Lotion (RRP £6.99) is also suitable for children and adults. Hydrating Body Lotion provides botanical solution to relieve tension and irritation in a natural way, it is a purely vegetal and safe alternative to look after an irritated dry skin condition. Hydrating body lotion is rapidly absorbed and it goes down really well after having a shower with derma-soft wash emulsion. Day Defence Cream (RRP £9.99) is rich in skin-related lipids and superior content of vitamins A and E in avocado oil in order to smooth skin, increase and protect elasticity. 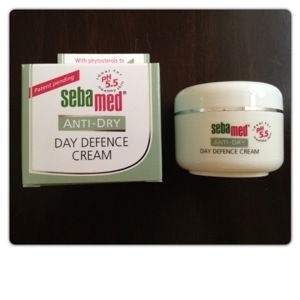 Besides, Day Defence Cream has Vitamin E to neutralize free-radicals and reduce the formation of wrinkles. It is rapidly absorbed when applied to the skin in circular movements. Night Intensive Cream (RRP £9.99) is recommended with the use of Day Defence Cream. It is rich in lipids of jojoba oil to support a lasting improvement in the elasticity and smoothness of the skin. Although Night Intensive Cream is quite rich and thick, it is easy absorbed and doesn’t leave any greasy residues. 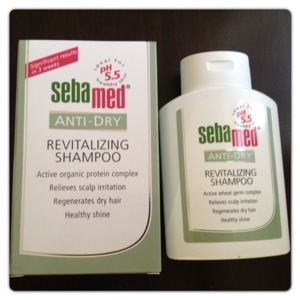 It was our first time trying Sebamed, and we really liked the result by using the whole Anti-Dry range. They have a mild fragrance, leaving your skin feeling soft and hydrated. 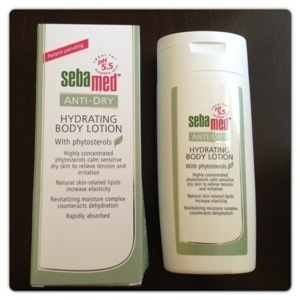 Overall, Sebamed Skincare Anti-Dry Range products worked really well on skin dryness and it is recommended if you want to improve your skin condition, especially recommended at this time of the year. 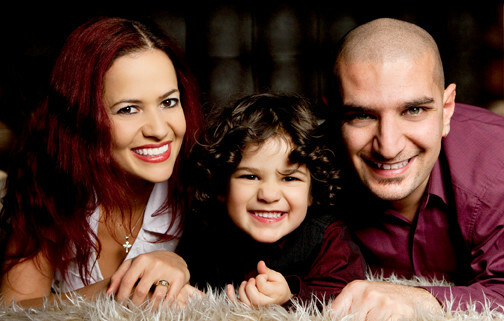 You can become a fan of Sebamed UK on Facebook. The products were provided free of charge for review purposes. However the opinions expressed in this review are honest and my own. 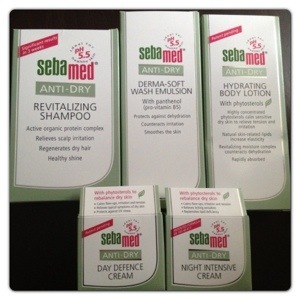 6 Responses to "Sebamed Skincare Anti-Dry Range"